I had the most wonderful evening last night. A few weeks back I had absent mindedly entered a competition run by Clark's Shoes, the prize was VIP entry for myself and a guest to their 'High Heel Society'. Held at the Metropolitan Hotel on Park Lane we arrived and were escorted in a private lift up to the Penthouse Suite where we mingled with the other competition winners and some fabulous style bloggers, were fed delicious canapes, macaroons and pick 'n' mix and drank champagne. We were massaged, photographed, interviewed and generally treated like princesses. Oh, and we got to choose three pairs of shoes from the Clark's S/S 2012 that we liked the best and they'll send us a pair!! Not sure which pair but I love all three of my picks so I'll be happy with whatever I get!! We had a great evening and our late night hobble in our stockinged feet to MacDonalds on Baker Street for an almost Midnight snack only added to the fun. Spent ages talking to these two fabulous and interesting ladies - they were lovely, check out their blogs!! Hopefully soon I'll be able to get hold of some of the better quality photos the people from Clark's took at the event!! The new Clark's styles look great. I think my favorite is the yellow peeptoe heel pair. 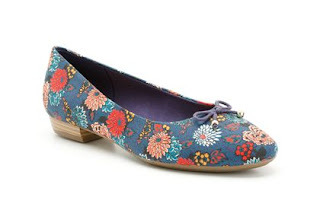 They would be perfect with some pretty spring dresses. The event you went to looks like lots of fun. Hope you have a fun filled weekend. Thanks, the yellow peep toes are my first choice but I'd be equally happy with the other two pairs! It looks like it was a fun evening and you both look gorgeous! Thanks Melanie, we both had a great evening - I'll certainly be entering more competitions now!! I'm so excited about free shoes! When will they put our photos on facebook? You both look gorgeous! What a brilliant event to go to and to meet Mrs That's Not My Age, too, she's one of the best! You too look like trouble, but in a good way! :P Wonderful shoes!